CDA’s Committee on Clinical and Scientific Affairs (CCSA) has produced 2 new guidance documents for dentists about medical device regulations and transplant materials used in dental health care. Both guidance documents have an accompanying frequently asked questions (FAQs) resource, to provide dentists with quick access to information relevant to their dental practice. The first guidance document, on medical devices for use in dental health care, reviews the current regulations regarding the purchase of dental instruments, equipment and materials, along with the reporting of adverse events. 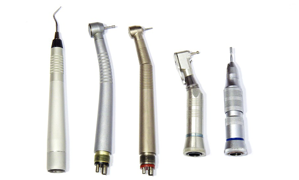 It explains the various medical device classes in relation to dentistry and outlines what dental materials require a valid medical device licence. It also reviews how to search Health Canada’s online database (www.mdall.ca), to ensure that an establishment has a valid licence to legally sell specific dental materials in Canada. The second guidance document on transplant materials helps to clarify the responsibilities of dentists who provide human allogeneic transplants or allografts to patients. Health Canada published regulations on human cells, tissues and organs used in transplantations in 2009. The recent CCSA guidance document explains issues pertinent to dentists such as registration requirements, record-keeping procedures and informed consent. These new guidance documents and FAQs, along with other practical clinical resources for dentists, can be found on the CCSA section of the JCDA website at: www.jcda.ca/clinical_dentistry/clinical_and_scientific_affairs/ .